The film is free, and donations are encouraged to support the future activities of the DCCFW. Snacks available. 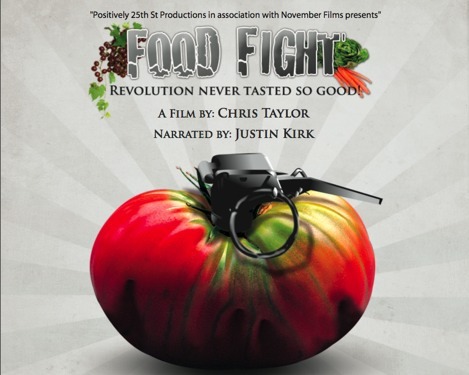 “Food Fight!” showcases many current food celebrities discussing why “Revolution Never Tasted So Good.” Alice Waters, Will Allen, Michael Pollan, and Wolfgang Puck are among those who are shaping the food revolution in America.